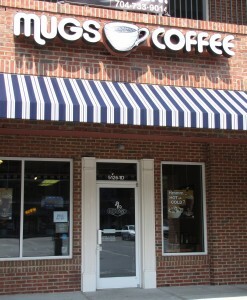 Welcome to Mugs Coffee! 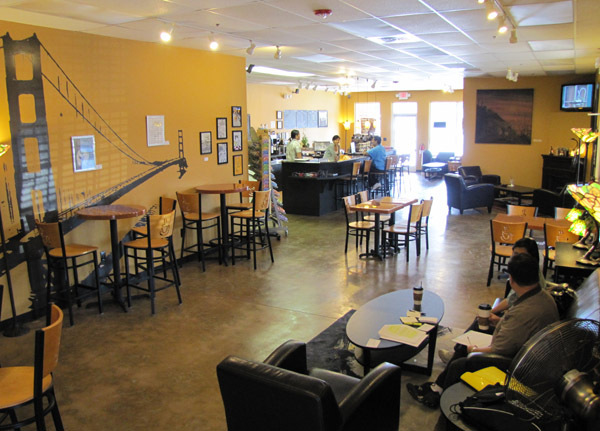 If you’re looking for a place to have amazing coffee drinks and a relaxing atmosphere, this is the place for you. We are located in the Park Selwyn Shopping Center, on the corner of Park Rd and Selwyn Ave, next to Portofino’s Italian Restaurant and Lucky Lou’s Tavern, right in the South Park/South Charlotte area! So, if you live near, or are driving by this area, come visit us here at Mugs, where there is plenty of seating and space to suit your needs. It is the perfect place to have meetings, small events, or just make this place into your second office! We cater to all your needs. There are outlets throughout the cafe for your laptop, and we also offer FREE WI-FI.